Tyler Seguin notched his first career hat trick, and Tim Thomas made 25 saves for his 27th career shutout. We warned you to Fear the 'Stache, but a 7-0 shellacking of the Maple Leafs was a bit more than Bruins fans could have hoped. Toronto left wing Joffrey Lupul, in this story by the Toronto Star, said the Leafs' effort was embarrassing. TNRLM TNRLM : Every time Les Miles claps, I think someone is going to give him an adorable stuff animal. mbjclay Clay Chandler: Would the Rapture happen if Les Miles suddenly switched to a houndstooth hat? trojanchick99 Diana Gonzales: Apparently, Les Miles is taking a page out of the ucla manual. Punting is winning. 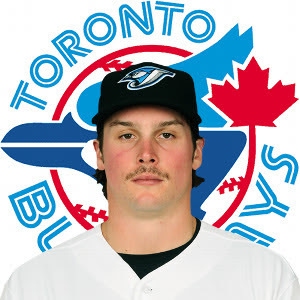 As you may know, we at the Gray Matter Baseball Academy are big fans of Travis Snider. A few little-known facts: Upon reporting to Double-A New Hampshire in 2008, his new teammates put the "Snider" locker name tag on a bathroom stall ... He pulled a Roy Hobbs and hit bombs, winning the Eastern League Home Run Derby with majestic shots at a light tower in RF ... Snider made a cameo appearance in the indie film "K2 Swag District" during 2011 spring training. OK, that was a little cheesy if you clicked the link, but you have to respect our attempt at remaking a "Training Day" scene. Fear it, Maple Leafs. 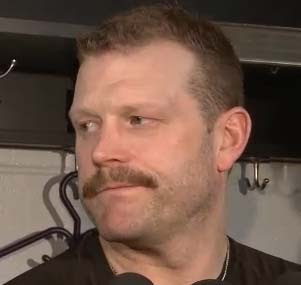 This mustache will guide the Bruins out of their slump. It's like Rudolph's nose on Christmas. Um, right? JOHN AXFORD led the National League with 46 saves but since accomplished something more impressive. The Ontario native was named the 2011 Mustached American of the Year by the American Mustache Institute. We knew the 'stache was powerful, but good enough for a Canadian to win an American award? Yes! Some call it "Movember." I say it's an excuse to grow a 'stache honoring Sal Fasano. No matter how you spell "moustache" -- hello to my Canadian friends -- this month is all about the cookie duster. I have just watched an episode of Gold Rush Alaska on the Discovery Channel, and the Mustache of the Day goes to Jim Thurber. He's a grizzled Oregonian and down on his luck, but he still cares enough about his 'stache to dye it, flaunt it and filter Alaska dirt through it, occasionally finding a gold nugget. 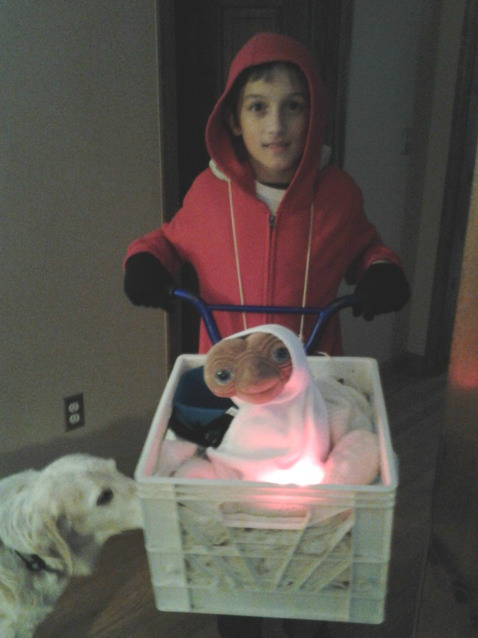 This trick-or-treater had ET phoning home in Bow, N.H. There is no bike, just the basket attached to the handle bars. Perfect for walking around. And that's a 14-year-old, Simba, checking out ET. It's always baseball season at our house! Happy Halloween! 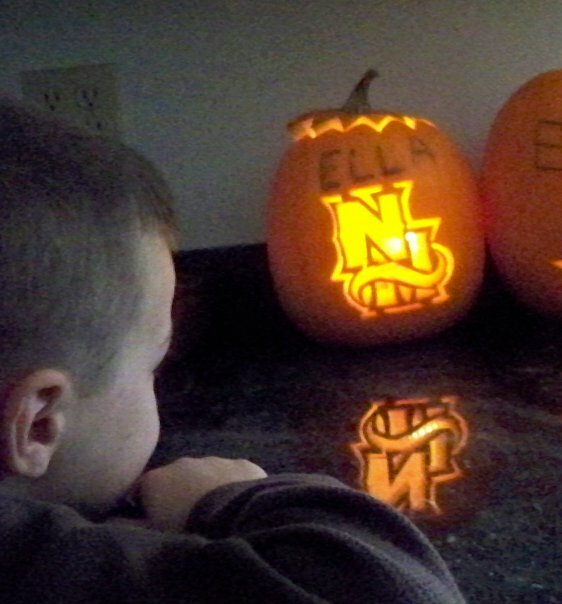 This is a Double-A New Hampshire Fisher Cats pumpkin carved by the Gray family of Bow, New Hampshire. Love the reflection off the counter top!